Our professionals are ready to step in and help with any crisis your air duct system is facing at your home or local business. 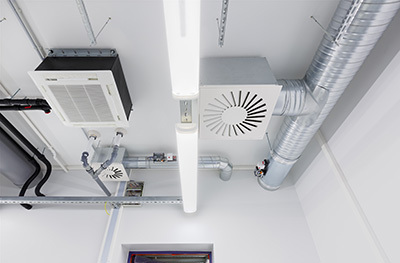 Take care of your ductwork straight away and make sure it spreads out fresh and clean air. Air duct repairs are important for your home's healthy environment. 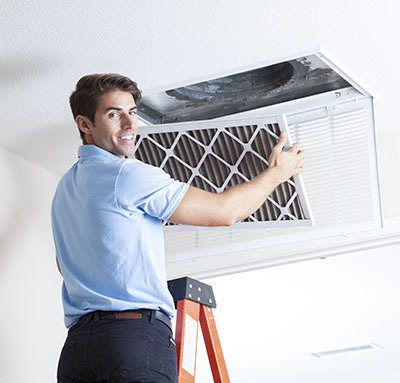 Our professionals are happy to lend you a hand with this to ensure the air you're breathing is fresh and clean. A dirty vent does not allow your dryer to do its job properly. Our technicians are skilled and properly equipped to come to your rescue and help you reduce fire hazards. First thing first. A warning - cleaning your ductwork isn't a trivial task, and you should consider letting it be carried out by professionals with the skills and experience required to complete this type of project safely. If you're insisting on trying to do it yourself, remember to use protective gear and don't try to do anything you're not 100% sure you're capable of doing safely. 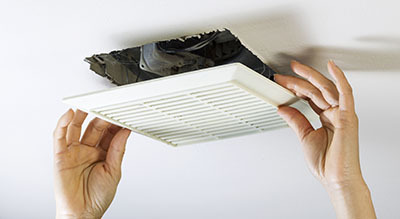 Air duct maintenance is something that should be part of any property owner’s routines. Its importance allows people to keep their air ducts in perfect condition and prevent any problems from arising. Some people may even take it upon themselves to perform the maintenance. This is in order to save up on the costs of having to call an air duct cleaning company, but also since there are easy to follow maintenance methods for the average property owner to do; the only thing needed is the right tools for the job. Air Duct Cleaning Moorpark shares some of these tools and how they can help perform routine maintenance. The vacuum cleaner is one cleaning tool that is always present in duct maintenance. It is used by both homeowners and experts, and this tool never experiences a lack of activity. It is capable of sucking in any kind of dust and debris that are trapped in the duct. Especially when it comes to dust, it is one of the best utensils available at the moment. Its capabilities are enhanced by the presence of other tools, such as compressed air and rotary cleaners, which help the whole cleaning sanitizing to be easier and to flow better. Chemicals are also a valuable tool in cleaning air ducts. One such chemical is the Sporicidin Disinfectant solution. It is a cleaning agent that is registered with the EPA. As long as it is handled by a trained individual and is not used on damaged ducts or alongside other chemicals, it is guaranteed to aid in the restoration of the ducts. With this in mind however, if you are inexperienced, it is best not to get involved with such cleaning agents, as they may turn out to be dangerous if not properly managed for you and also for your cleaning equipment. There are plenty of other tools that can be used in duct cleaning and maintenance, but these are some of the ones that stand out, due to their importance and effectiveness. Knowing how to effectively use these will make sure that the ducts will stay clean for a long time. Of course, it's far safer and more effective to have a professional service your ductwork and make sure that no mold or other contaminants are present. When in need of assistance, don't hesitate to give Air Duct Cleaning Moorpark a call.